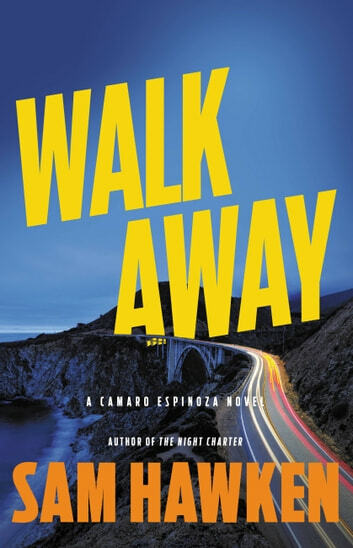 Camaro Espinoza is "the deadliest female protagonist since Jon Land's Caitlin Strong and Stieg Larsson's Lisbeth Salander" (Booklist). Camaro Espinoza is a former combat medic whose past is shrouded in mystery. Having finally achieved a measure of calm and anonymity, Camaro receives a distress call from her sister Annabel. Living a modest life in a small town in California, Annabel has become trapped in an abusive relationship with a man named Jake Collier who threatens to make her daughter his next victim. Camaro rushes across the country to defend her sister for what may be the last time. And Jake has a sibling of his own, an ex-Special Forces operative named Lukas who is every bit as unhinged as Camaro is uncompromising. For all Camaro's stealth and wit, she can only last so long against such a relentless force. As a pair of federal marshals pick up the trail, and a bounty hunter with a debt to settle closes in, Camaro's smart enough to know that standing her ground is the last thing she should do. But if there's one thing Camaro can't do, it's walk away--even with a freight train like Lukas barreling towards her.